October was not my best month. I've been struggling with mental health issues, I had my heart broken, I haven't been working out or sticking to my skincare routine, and work has been chaotic, to say the least. All that being said, as my brother Aarron told me, all of this has led me on a path to getting better. In the end, I will be a better version of myself because of it. 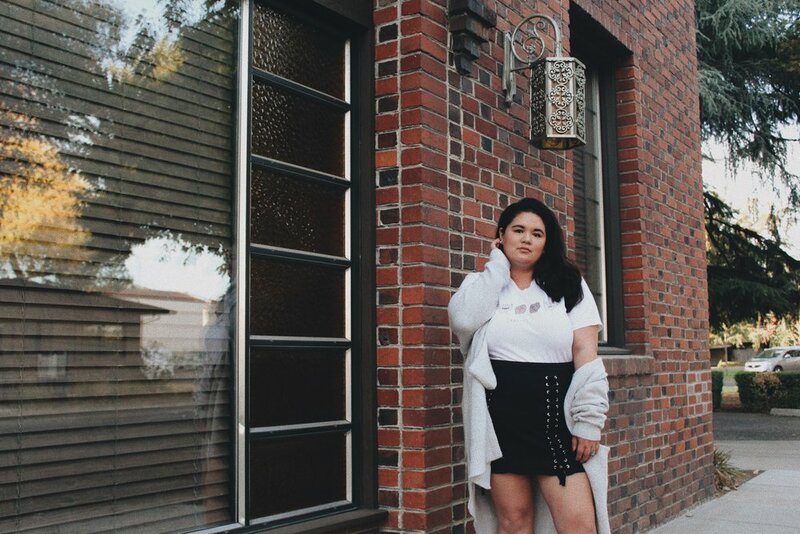 One of my favorite blog posts this month and arguably one of the hardest that I've had to write was my Why I Overdress post where I talked about my mental health journey and shared my decision to go back to therapy. I decided to go the non-traditional route and do online therapy using Talkspace. I was quickly matched with a therapist and began my therapy sessions mid-October. While it's been difficult, it has been one of the best decisions that I've made recently and I'm excited to continue my journey to healing, learning more about myself, and bettering myself. Another one of my favorite blog posts was From Summer to Fall where I took photos at Caswell Memorial State Park. In October, I found myself doing a majority of my shopping at my local Plato's Closet where they finally created a plus size section. 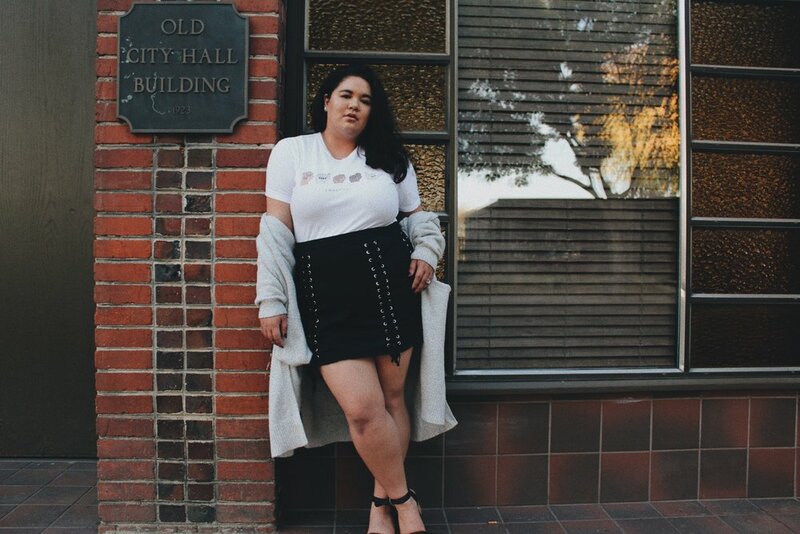 I've been wanting to do a blog post featuring an entirely thrifted plus size outfit, but shopping when you're plus size is hard! As I mentioned previously, I had my heart broken this month. So, naturally, being the Scorpio that I am, I bought myself some cute lingerie and treated myself to a Brazilian wax at the European Wax Center. I started getting a Brazilian wax back in June and haven't looked back since. Before going to the European Wax Center, I had been getting mine done at a local spa in my city. After a horrible experience, I decided to give the European Wax Center a try after my lash lady recommended it and I'm so happy I did. They were super friendly and my first experience there was quick, easy, and painless. I will definitely be going back! I could not stop wearing my favorite mustard colored turtleneck which I thrifted from my local Plato's Closet as is evident if you read my From Summer to Fall and Autumn Tones blog posts. I've been wearing a lot more yellow this past year. It's such a beautiful color and one that I was lead to believe didn't look good on my skin tone. Someone had once told me, "You can't wear yellow when you have yellow undertones," and now I laugh at the thought. I also found myself wearing Colourpop's Ultra Matte Lip in the shade Love Bug. While the formula is drying and it can be difficult to reapply, in my opinion, it's one of the best lip colors to wear in the fall. As I mentioned, I did a lot of shopping at my local Plato's Closet in the month of October. I found some really great pieces. I'm really hoping to bring my idea of doing an entirely thrifted plus size outfit to fruition soon, but as I also mentioned, it is hard to thrift shop when you're plus size as like in most places, our options are limited. I also rediscovered my love for Old Navy this month and picked up some really great pieces there as well. I cannot wait for their Black Friday Sale. It's one of the best Black Friday Sales! Is anyone else already thinking about what they want to pick up during their annual Black Friday Sale or is it just me? Remember to vote on Tuesday, November 6th. Click here to find your polling place.